Ryanne sees her role beyond just a real estate agent, although her success disputes that. Ryanne concentrates on life transitions that buying/selling a house creates, her client's goals, dreams and the challenges of change. She is there every step of the way to ensure that each client feels as though she has their back, because she does. With over a decade of sales and marketing experience, Ryanne joined @Properties in 2005 because of their less conventional, more innovative approach to real estate. Exposure is everything in this competitive environment and Ryanne's love for technology paired with @Properties marketing prowess, gives her clients that competitive edge to stand apart from all else. 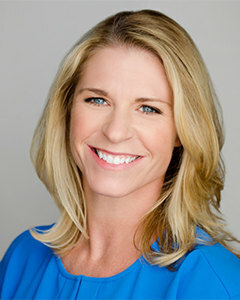 Ryanne has been named Top Producer by her local real estate boards from 2007- present. She attributes her success to a high level of service and unwavering work ethic until her client's goals are realized. Her clients praise her for being honest, forward looking, consistently going above and beyond, and even adding a little stress free fun and humor in the process. She strategically maintains a level of business between buyers and sellers to ensure that her quality of service is never compromised. Clients hire me as their business partner and advocate to lead them throughout the process, I consistently put myself in their shoes...how I want to be treated¦how I want someone to act on my behalf¦how I want to be communicated with¦and how my needs should be met? Ryanne has lived in many of Chicago's diverse neighborhoods for 15 years before moving her husband, 2 kids and Labrador to Northbrook. Through her own experiences and expertise, she has helped many others make the transition from city to suburbs and vice versa. I know the mindset of the city buyer, and their desires for needed space and great schools along the North Shore. I also know the seller wanting to downsize and the struggle of where that might be and what that might look like." Because of this, her outreach in the real estate community is more flexible and innovative than most. When Ryanne is not servicing the needs of her clients, she volunteers her time as a Chairman of the Board at the Kohl's Children's Museum, and is actively involved in her kids' activities at Meadowbrook Elementary School. A fun fact about Ryanne: she was Captain of her Division 1 college soccer team, at Southern Methodist University, leading them to the Final Four in 1995, and went on to play Professional Soccer in Munich, Germany. "Ryanne was fantastic to work with! She was very helpful, responsive, and honest. She always had our best interest in mind, and played a huge role in us finding our first home!"